A rolling stone gathers no moss” said the Latin writer Publilus Syrus and this is true of rolling stock (railway carriages plying a nation’s rail system) too. The very opposite of this ancient proverb lies before our eyes in the once mildly busy shunting yards at Healesville’s railway station. Old train carriages, once the pride of the Victorian Railway’s fleet, lie waiting their turn for restoration by Yarra Valley Tourist Railway volunteers. In the meantime, they march toward “unrepairable” – their patinas attract our attention. The regular train service in Healesville stopped long ago – 1981 to be exact. How do I know? Because my father was the last serving Station Master at this station and I was present the day the last train rolled into the railway station – a sad day for the community and for rail enthusiasts in the state of Victoria. For many years after the last train service the station and rail line were virtually abandoned, however, through the efforts of many enthusiastic volunteers, the rail line has been partially re-opened and tourists can now take a short journey from Healesville to the nearby Tarrawarra area. The memories of this beautiful trip are still vivid – out of the station, over the crossing, across the Watts River then up the incline all the way to the beautiful brick tunnel then down the other side toward the Yarra River flats and on to the Tarrawarra Monastery station. A variety of rolling stock is now located at in the Healesville railway yard. Some of it is serviceable but most of it is in need of time, money and labour all of which is in limited supply. The old carriages (and even older buildings) may not attract the attention of passersby however, if one stops long enough, the beauty of the blended mix of Mother Nature and Man Made is worth capturing on “film”. Negotiating the worn rails and ballast we savour the contrast of faded paintwork and rust on the old carriages and delight in the angles created by nature and steel. Safe in the knowledge that nothing is going to move we get up close to wheels, springs and levers. Like two excited children we delight in the opportunity to be “down in the pit” (off platform), surrounded by the smell of old grease and diesel – a “train spotter’s” Nirvana. For those interested in anything to do with railways a visit to the Healesville railway station and the Yarra Valley Tourist Railway headquarters is a must. Don’t neglect the neglected and, if you would like to see the railway return to its former glory days become a volunteer or donate some monies to this worthwhile cause. A glass of cold champagne in one hand and my Princess’ knee in the other. 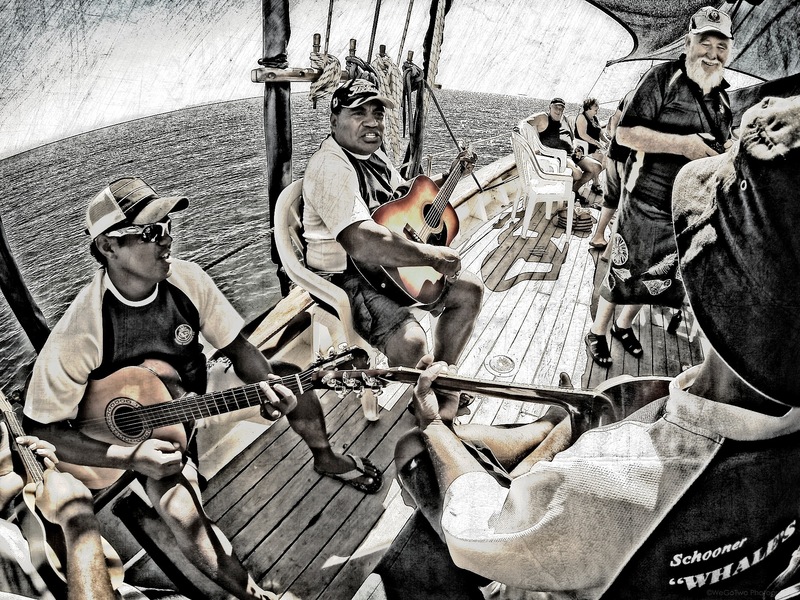 A warm ocean breeze blowing across the deck of the old schooner “Whale’s Tale” and the friendly Fijian crew serenading us with beautiful harmonies as the captain holds course for Schooner Island. What a magical scene. It feels like we’re dreaming. The sun’s reflection shimmers on the turquoise blue waters of the Pacific Ocean and, in the distance, the ancient volcanic mountain ranges of the Koroyanitu National Park tower above the outskirts of Lautoka. 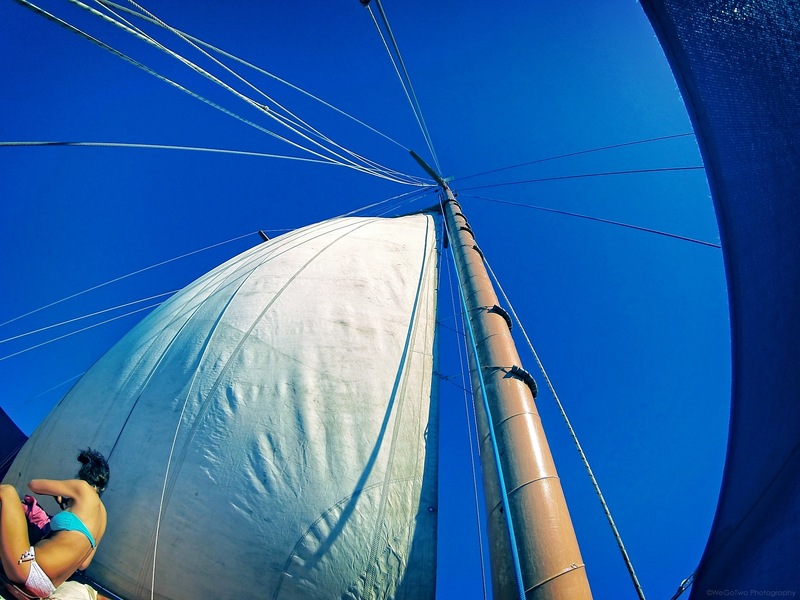 The slow rate of advance of our vessel fazes none of the day trippers – we are all here to soak up the ambience. 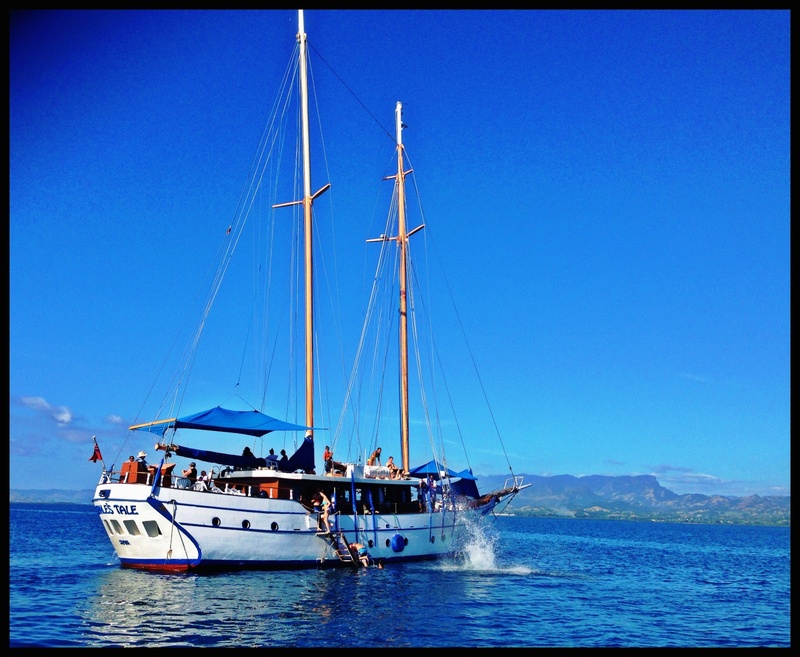 The trip from Denarau marina to Schooner Island takes around 90 minutes and along the way we sail past many of the small islands that lie off Viti Levu’s west coast. Each Fijian island is unique and we remind ourselves that we will have to return to explore more of this nation’s beauty. The hospitality of the crew is as a warm as the mid morning sun. They continue to offer cold drinks, fresh fruit and recently baked delights. Knowing that lunch will be served on Schooner Island we finish what is on our already laden plates and take some time out to photograph and video the sights and sounds onboard. Schooner Island grows larger on the horizon so the captain orders the huge mainsail to be taken down as he reduces the revs on the engine to slow the 100 foot boat. The crew prepare to drop the anchor and we are guided onto the dinghy that has been towed astern. It’s time for these sea legs to return to the land. When the dinghy’s loaded the crew cast us off “Whale’s Tale” and we motor to the beach. The dinghy’s crew negotiate the complex reef surrounding Schooner Island before securing the boat and helping us ashore. We’ve arrived. The rest of the crew and fellow shipmates join us on the island and we are asked to congregate in the “village hall” for a traditional welcome ceremony and kava drink. A new chief (one of our unsuspecting shipmates) is appointed “Chief” for the day and the ceremonies begin. 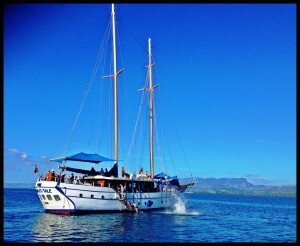 After the compulsory sip of kava we are free to roam the island and explore the surrounding reef. Being keen snorkelers we fit some of the gear provided and head into the warm water. Upon placing our heads under the surface we are immediately greeted by an array of beautiful fish. The colourful coral, white sand and blue water are just like the pictures you see on postcards. 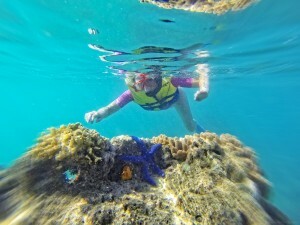 Sea life abounds here in Fiji’s nutrient rich waters – one of the world’s best places for scuba diving and snorkeling. Returning to the beach our crew let us know that lunch is served and that there is plenty of it. These Fijian locals love their food and they want to make sure we don’t go home hungry. No chance of that. Freshly cooked meats, salads and fruit make up the main fare and cold beverages are served at the bar. 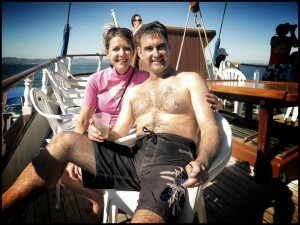 Strangely, despite the amount of food we ate during the voyage to the island, our stomachs are up for another feed. Must have been all the exercise we did while we were snorkeling. Just sayin’. 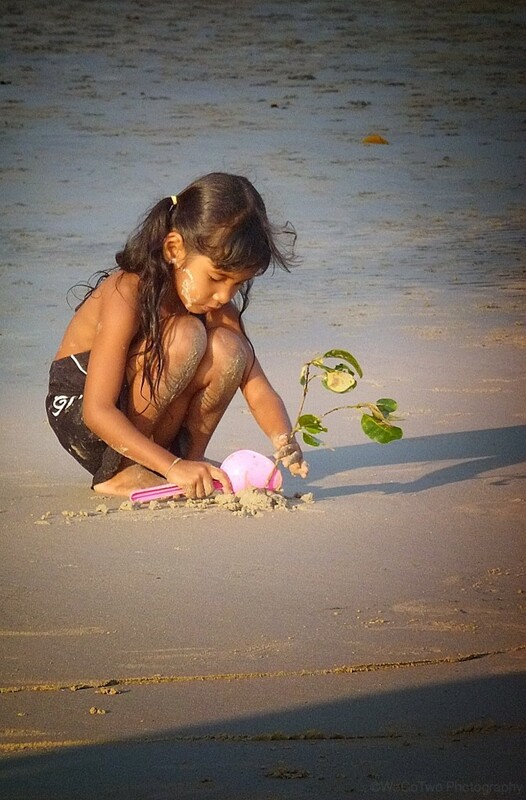 With the words of our parents ringing in our ears (“Let your food go down before you go swimming again”) we wait patiently under the shade of a beach hut and get to know some of our fellow travelers. One of the bonuses of a trip like this is that you meet some interesting people and learn about other places in the world. Lunch has started to make its way through our digestive system so we don our snorkeling gear and head out into the water once more. Diving in a different area exposes us to a new reef and some different species of fish. 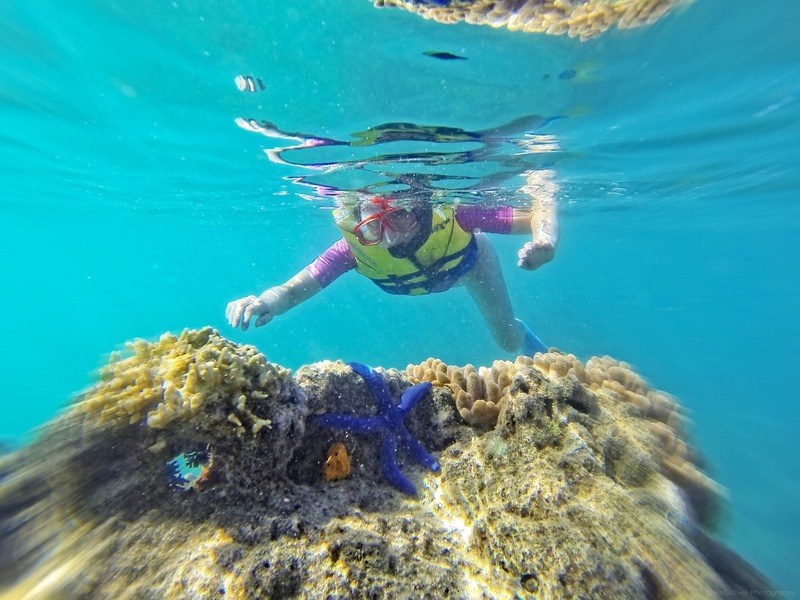 Despite being very small, Schooner Island has offers a variety of experiences for those keen to get into the water. The sun is approaching the other side of the yardarm as we exit the water and the ship’s crew have started to transfer people back to Whale’s Tale for the trip back to Denarau. We return our snorkeling gear, freshen up and wait for the boat to return. 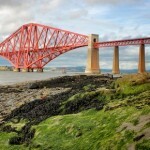 A passing thought enters our mind: “What if we hide and become castaways”? From the beach we can see people diving into the water from the ship’s upper decks. On returning to the ship I decide that I will give that a go. Can’t have too much fun here in Fiji! The trip back to Denarau marina is not long enough. The sing-a-longs over a cold beer, a beautiful setting sun and some friendly banter are all good reasons to extend the trip. However, the crew have to prepare for tomorrow’s outing and the experience they want to create for the next lot of travelers. Maybe we should book for another trip tomorrow! 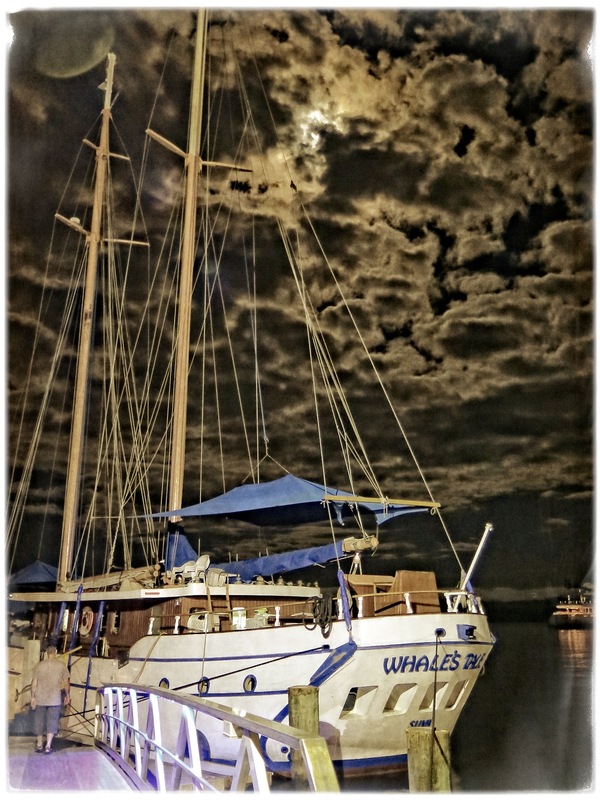 Whales’ Tale slips back into the marina at the pre-arranged time and the well oiled crew bring the old vessel smoothly alongside – no stress and no fuss. 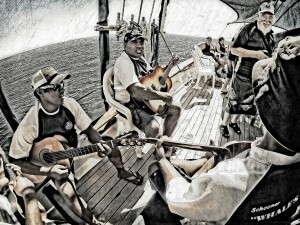 The crew sing a traditional farewell song to us all and there are a few wet eyes amongst the crew and day trippers. The wonderful hospitality shown by the crew continues after we step ashore and beyond. Genuine Fijian goodbyes are sung out to us as we walk along the pier toward our transport. What a magical day. 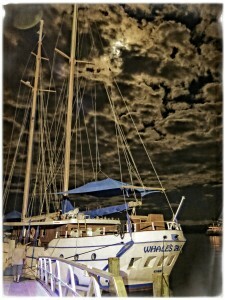 When in Fiji make sure you take a trip to Schooner Island on Whale’s Tale. From the time you board the old schooner until the time you are dropped off at your hotel you will experience Fijian hospitality at its best.